Assassin’s Creed Origins is the title of the next Assassin’s Creed game, according to a photo of a retail pre-order card posted online today. 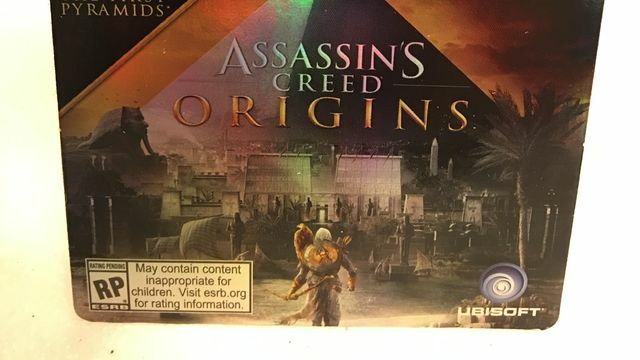 The photo, which was posted on Imgur about an hour ago, shows a Target placard advertising a Gold Edition of a game called Assassin’s Creed Origins, a name that was leaked a month ago. A pyramid appears behind the game’s logo, and the Great Sphinx of Giza — before it was defaced by the ravages of time — can be seen on the left side, which seems to confirm reports that Origins will be set in ancient Egypt. Just like in last month’s leak, the protagonist is wielding a bow and arrow, and a shield is slung on his back. 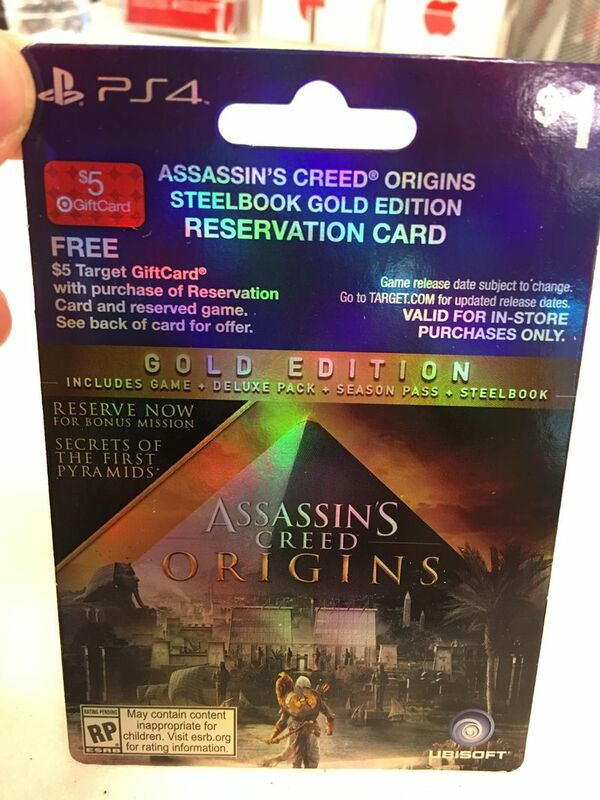 Origins’ Gold Edition, according to the pre-order card, comes in a Steelbook case and includes a bunch of add-on content: a bonus mission called “Secrets of the First Pyramids,” the Deluxe Pack and the game’s season pass. The one element of the card that sticks out as a potential red flag is the Ubisoft mark in the bottom right corner: It’s now deprecated, since Ubisoft announced a week ago that it was updating its logo to a flat, colorless design. Of course, it’s not unreasonable to think these cards would’ve been printed well before Ubisoft changed its logo. Previous reports about this year’s Assassin’s Creed title indicated that it will mark the return of naval combat to the franchise; the last mainline entry in the series to allow players to pilot boats was 2013’s Assassin’s Creed 4: Black Flag. The game is reportedly coming to PlayStation 4, Windows PC and Xbox One. It will be the first Assassin’s Creed title in two years — the franchise was on hiatus in 2016. We’ve reached out to Ubisoft for comment on this leak, and we’ll update this article with any information we receive. The company will officially announce the game, whatever it ends up being, at its E3 press briefing on Monday, June 12.